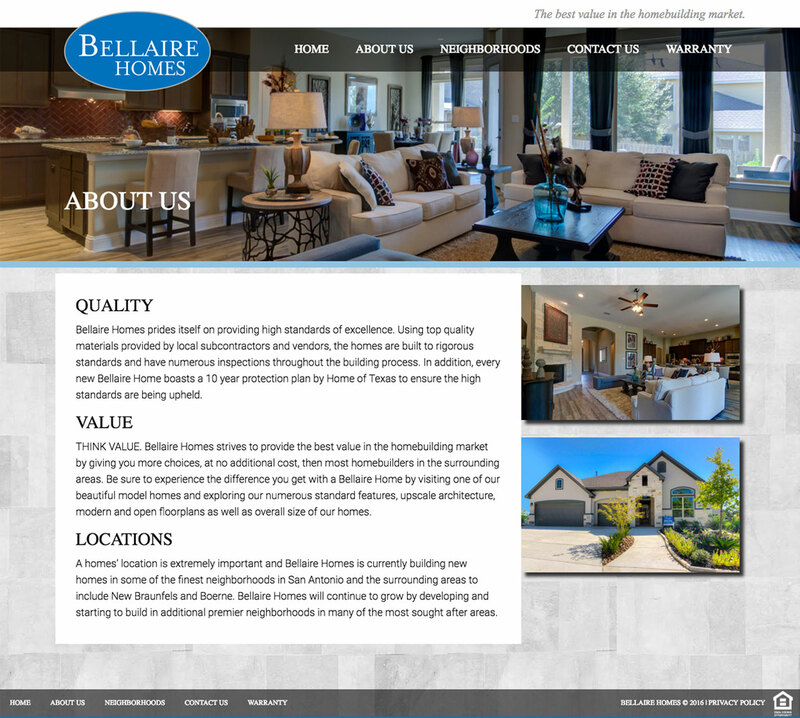 Bellaire Homes prides itself on providing high standards of excellence. Using top quality materials provided by local subcontractors and vendors, the homes are built to rigorous standards and have numerous inspections throughout the building process. They were ready for an upgrade and needed a site that will allow them to manage floorplans and tours without having to call anyone.